Mmmmmm I love juicy fat, full of meat burgers. We don't just have to have them as a treat though. I enjoy making these burgers, they are so easy & I look forward to them all day when they are on the menu. I can even have these on my diet with egg & bacon in a bun or with pasta n sauce, potato etc, which is always good! 4 or more cloves of Garlic, crushed & chopped small. Add onion & garlic to the mince meat & mix in. Add parsley, Worcester sauce & season, mix it all together. 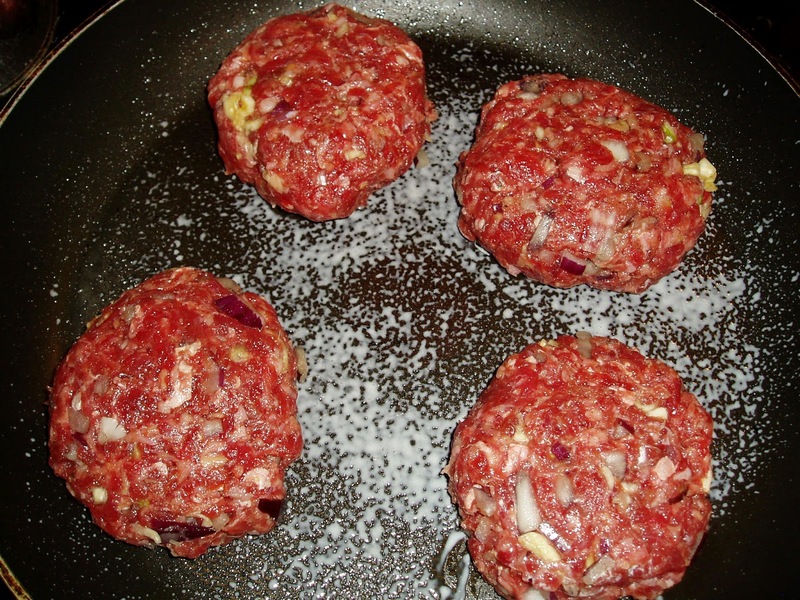 Divide into 4 portions, shape into balls & then flatten into burger patties. 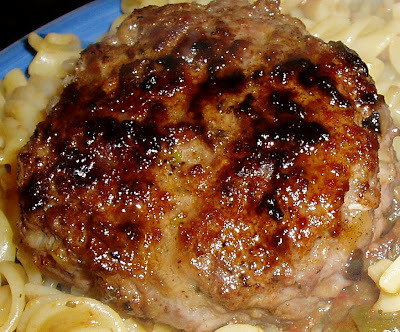 Cook gently in a fry pan for 10 - 15 mins depending on your taste & thickness of burgers.